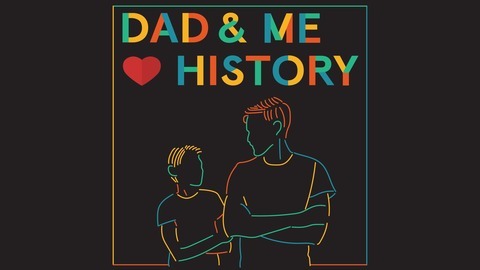 Get your kid away from screens for a fun fifteen-minutes, answering the big questions in history! Fun for parents too! Subscribe for free on iTunes, Spotify, Stitcher, Soundcloud and wherever else you get podcasts! Join us on Twitter, Instagram, Facebook and our webpage. Graphics by Molly Austin of mollyavalon.com Instrumental music by bensound.com. 20. What are Veterans/Remembrance/ANZAC Days and why are they important? This special extended episode is a tad more serious than our usual fun-filled shows, but there’s lots to learn for kids and adults! And if you know a teacher who could use this episode, please share it with them – and with any other friends. We go to an ANZAC service in Australia, where World War One is particularly remembered. Then we go to Hong Kong, which was invaded during World War Two, so remembrance there focuses on that era. We then return to Australia for our interview with Major Matina Jewell. We are grateful to Lindisfarne Anglican College for allowing us to visit their ANZAC assembly, and thanks go to their special guest, Major Matina Jewell (retired) for the interview. Recurring at points throughout this episode is the sound of Lindisfarne’s School Marching Band, led by Mr Dale Norton. And thanks also to Sergeant Kelvin Fawcett (retired). What does A-N-Z-A-C - ANZAC - stand for? Why is November 11 an important date for remembering people from wars? What happened at Gallipoli in WWI? What is the Last Post? Which country is the Menin Gate in? Who wrote the poem ‘In Flanders Fields’? Why is it important to remember people who died in wars? 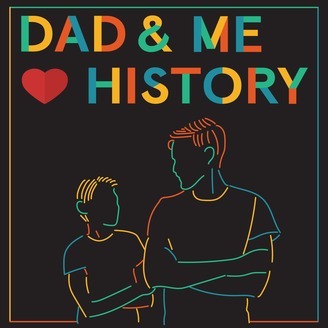 Listen to Dad & Me Love History on RadioPublic — it’s free, easy-to-use and helps listeners like you find and support shows like ours. When you listen to our show on RadioPublic, everyone benefits. Look on our webpage for images that accompany each episode. Please rate and review us wherever you get podcasts. And share our podcast on social media and recommend it to friends – that's how we'll keep going. See you in a while for our next season! 19. Ancient Egypt: Crazy or Cool? 18. Was Picasso a Genius? 17. What was it like to be an Aztec kid? 16. Why did the Vikings stop being vicious?